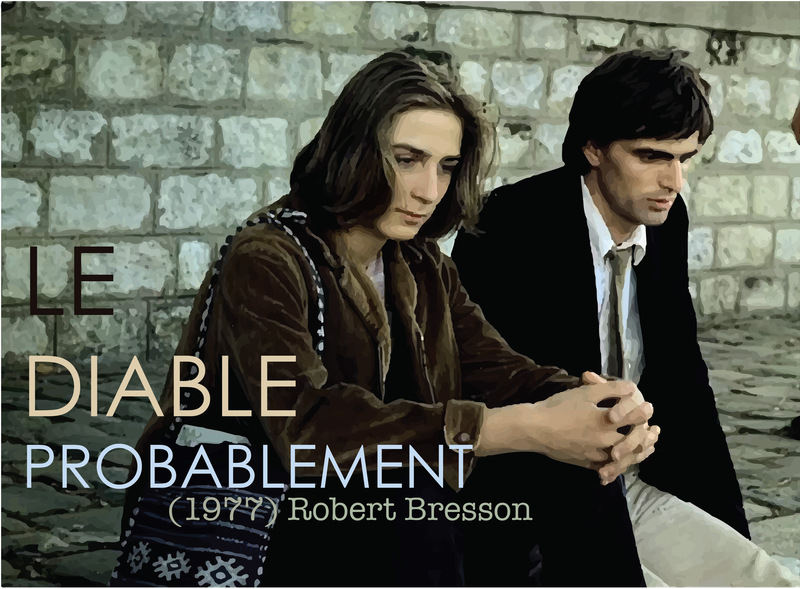 Robert Bresson trained as a painter before moving into films as a screenwriter, making a short film (atypically a comedy), « Les Affaires publiques » in 1934. After spending more than a year as a German POW during World War II, he made his debut with « Les Anges du péché » in 1943. His next film, « Les Dames du Bois de Boulogne » (1945) would be the last time he would work with professional actors. From « Journal d’un cure de campagne » (1951) (aka « Diary of a Country Priest ») onwards, he created a unique minimalist style in which all but the barest essentials are omitted from the film (often, crucial details are only given in the soundtrack), with the actors (he calls them « models ») giving deliberately flat, expressionless performances. It’s a demanding and difficult, intensely personal style, which means that his films never achieved great popularity (it was rare for him to make more than one film every five years), but he has a fanatical following among critics, who rate him as one of the greatest artists in the history of the cinema. He retired in the 1980’s, after failing to raise the money for a long-planned adaptation of the Book of Genesis.